When you want beautiful skin, dermaviduals urges you to “Think Zinc.” Zinc has been shown to support the production of elastin and collagen fibresin the skin. The health and well being of these is critical. They support the underlying structure of your skin, reducing the appearance of wrinkles and other signs of ageing. The deficiency, which affects skin health, may be due to the fact that people are moving to a vegetarian or vegan diet and eating less zinc-rich foods, such as red meat and seafood. Additionally, food-processing methods that make plant-based zinc more readily absorbed by the body are not commonly used in Australian households. Zinc can be taken as a nutritional supplement, but zinc deficiency in the skin can be effectively addressed with a topical application. One of the difficulties with zinc, however, is that the skin does not easily absorb it. Enter dermaviduals and our Zinc Liposome Serum.The beauty of our serum is that it encapsulates zinc in a liposomal delivery system. What does that mean? Liposomal concentrates are the key to delivering pure and active ingredients in the dermavidualscorneotherapeutic line. They have been shown to increase the effectiveness of different components in skin care products. Liposomes merge with the skin barrier layers where they release the encapsulated active agents (Zinc in this case). This leads to increased local permeability of the barrier layer membranes and the Zinc is able to pass through safely and effectively where your skin cells can make active use of it. Liposomes strengthen the matrix of your skin. They aid in the fight against damaging free radicals and work to reduce blemishes.Liposomes alsoimprove the penetration of other skin-soothing substances. This is very important in both pre-treatment and follow-up treatments. People who suffer from acne often show low zinc levels. Zinc has been shown to influence hormone metabolism that is often linked to blemishes. It supports regeneration of skin and is used for prevention and care of acne. Our new serum also contains urea, found naturally in the skin. It’s necessary for hydration and in small amounts, as applied in the Zinc Liposome Serum, it also works as an anti-inflammatory. Another ingredient, Sclerotium Gum, improves the viscosity and texture of the product while improving the skin’s moisture content. When your aesthetic skin care expert is a dermaviduals partner, you can be assured of the highest level of care, safety, and quality. 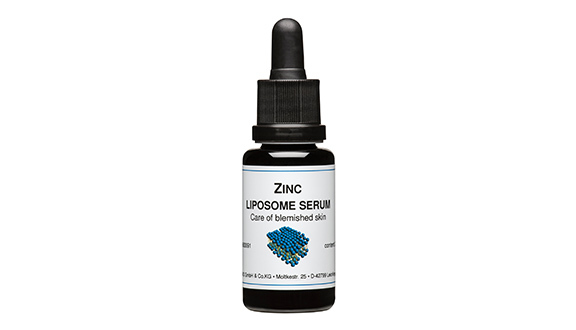 Contact your favorite clinic or medispa today to learn more about the healing properties of Zinc Liposome Serum.